Valentine’s Day, also known as the celebration of romance and romantic love in many regions around the world. What was once upon a time a religious celebration, honouring Saint Valentine of Rome, who was widely recognised in the third century and who was associated since the middle age to courtly love, became cultural and then strongly commercial. This celebration can be exquisite for couples in love and looking to celebrate love on that particular day, however, not all couples enjoy the pressure Valentine’s Day triggers and prefer to pass on celebrating love on that specific day. Now, it is surely more difficult for single people, whether they would have celebrated it if they were in a romantic relationship or not, is irrelevant, since they are alone and feeling the commercial love vibes weeks before the 14th… In the western world everything becomes in a shape of a red heart, it is often very difficult to avoid all these love signs around town. This week we have selected six tips to help single people avoid feeling down on Valentine’s Day. If you are not celebrating on that day, it shouldn’t matter if others do. Think about it as religious celebration that you do not celebrate, or even more as a saint day, I don’t think you celebrate all saints. Consider it as a festive day if you wish, but the idea is to give it as little importance as possible. If you insist on it and that day matters to you, fair enough. In that case you should celebrate yourself, assuming this is a day to celebrate love, buy yourself a gift, even flowers, chocolate and enjoy treating and loving yourself. 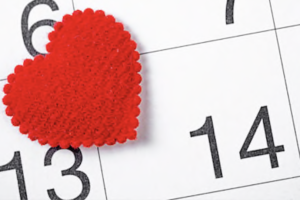 Planning a date on Valentine’s Day might sound cheesy, but then again, why not if you consider it as any other day? You would also start this relationship in a very romantic atmosphere. It is easier to be cynical and pessimistic about love when single on Valentine’s Day. This is most likely your ego rejecting anything it doesn’t have yet by looking at couples everywhere around you. Instead, we suggest embracing others love vibes and wishing the same for yourself, if this is what you would like to feel of course. Organising a singles gathering and talk about it all evening is understandable but not always a good idea, especially if one of you is particularly depressed by the fact they are alone on that day. The whole evening will likely be focused on you all being single. We suggest you keep your routine and have similar plans you would have had on that day, drinks with colleagues, an art exhibit, a workout, dinner, etc. Being down and dwelling on your past or on why are you single is not constructive. You should reflect on the partner you wish to meet and the relationship you wish to build instead. You might need to open up your mind on how to meet them, seek help and change some of your routine if needed. A lot of single people nowadays are extremely busy and struggle meeting the right person because of that. Make the time and invest in your love life.